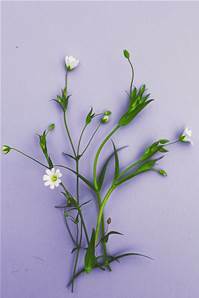 Greater stitchwort is a plant of woods and hedgerows on mildly acid to calcareous soils. Its masses of white flowers make it a superb species for a shady nook or hedge-bottom. A good early nectar plant. Flowers April to May.